1. While most SCRC materials can be requested through ExploreUK, many books and published materials are only available from the library catalog, InfoKat Discovery. 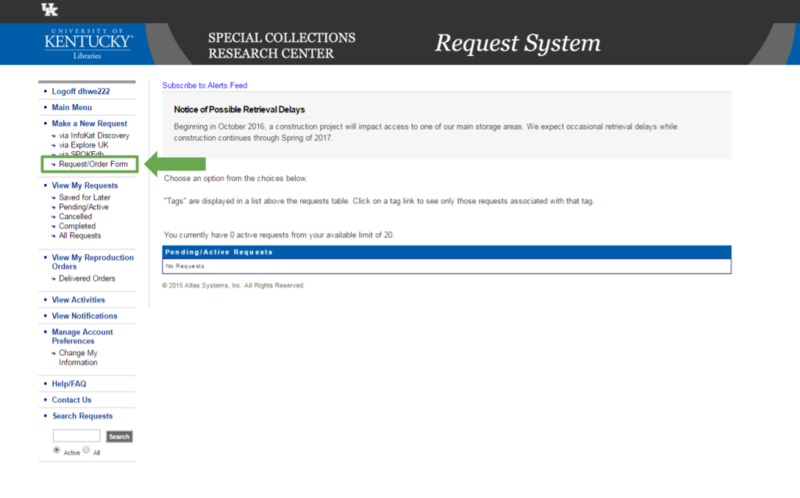 In order to request these materials, you will first need to log in to your Research Services Account at requests-libraries.uky.edu and select "Request/Order Form" from the main menu. 2. Open InfoKat Discovery in a new tab and search for your item. 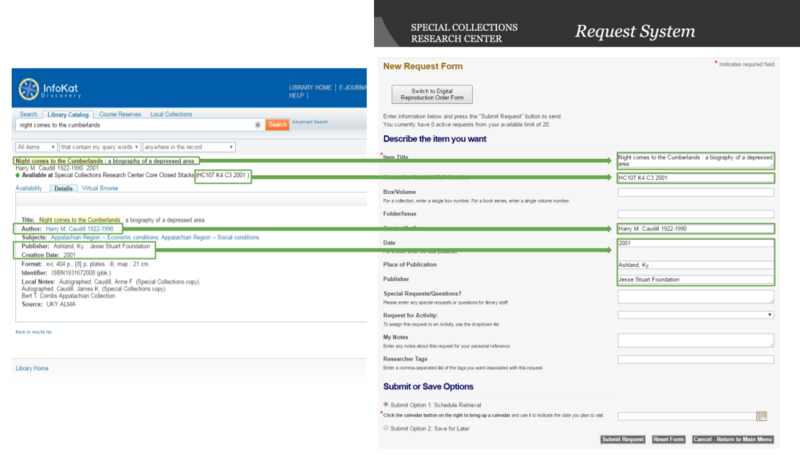 Once you have found your item, copy its details to the manual request form in your Research Services Account. 3. 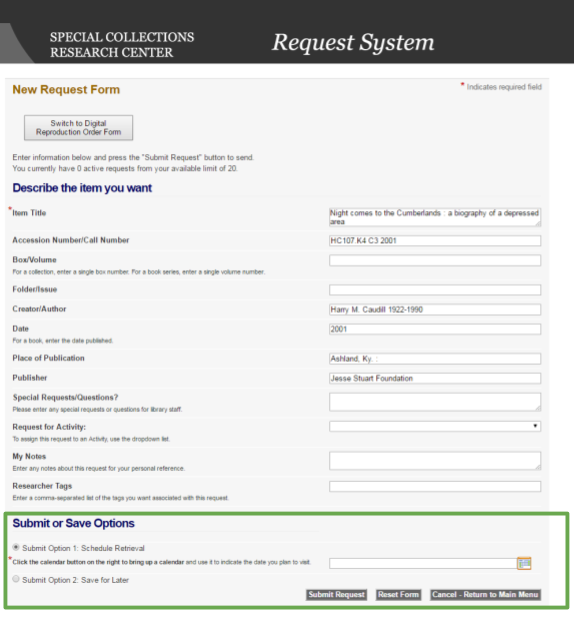 Once all available information has been entered, select whether you would like to submit your request immediately or save it for later and click "Submit Request"
4. 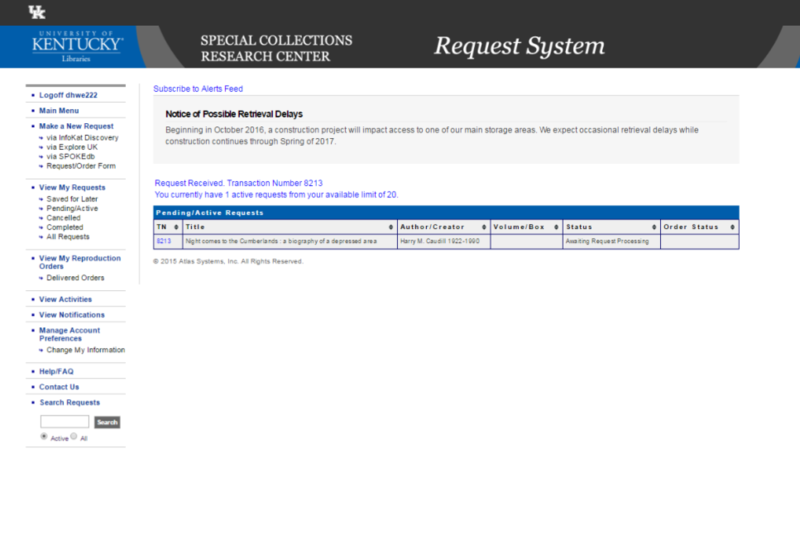 After your request is submitted, you will see a corresponding transaction on your Research Services Account main menu where you can monitor the processing status of your request.